Indie sensation Undertale is getting some new figures courtesy of Fangamer, and to promote the launch, it has released a trailer. It reminds me of an '80s commercial with little boys playing a little too roughly with their toys. You can check it out below. Once you hear the music in the trailer again, you'll probably want to hear the whole soundtrack. Got ya covered. Series one of the figures features Frisk, Sans, Papyrus, Toriel, and the Lesser Dog miniboss. 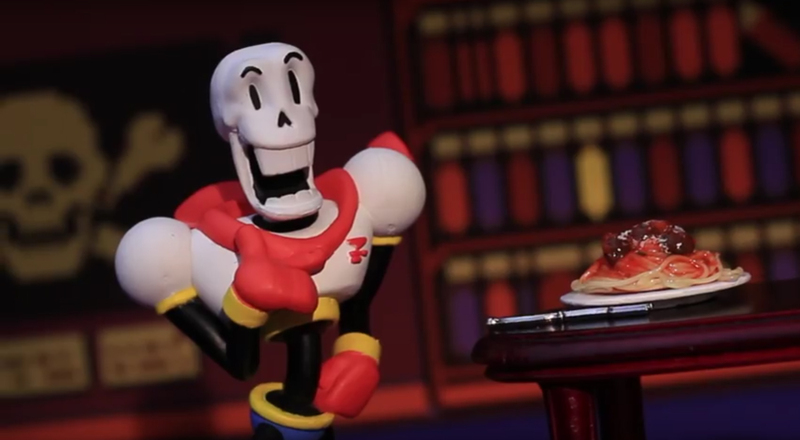 The trailer shows off some of the figures' special features, such as Papyrus' endless appetite for pasta, and the extending neck on the Lesser Dog. 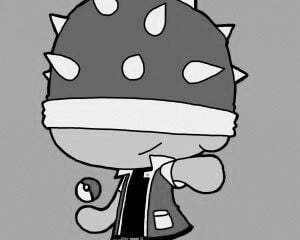 It closes by teasing the second series, which will feature Undyne, Flowey, Alphys, Mettaton, and Temmie in her item shop. The figures themselves seem well made, and strongly resemble amiibo. Well, it might be too late for that to happen officially, but I suppose it's not out of the question just yet.